Sunday, July 3, 2011: Tune in this Sunday from 2pm-7pm for Jazz Profiles, which will spotlight the trumpeter and bandleader Thad Jones. 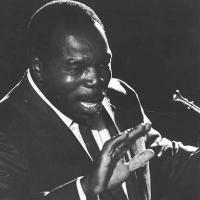 Jones was a hard-swinging musician whose Thad Jones-Mel Lewis Orchestra was one of the most successful and influential big bands since the swing era. The Thad Jones-Mel Lewis Orchestra still exists today under the moniker of the Village Vanguard Orchestra, which performs in the Village Vanguard every Monday night.